Once upon a time when my brother was maybe 5 and I was around 7, my mom & dad left us with friends for the weekend. This family ground their own wheat to make the flour to make whole wheat bread, and they showed us how to milk...I'm pretty sure it was a goat and not a cow...for the milk for breakfast. My point is, refined white sugar and surely Little Debbie type snack cakes were not a staple in this family's diet. So anyway, the parents come in to ask us if we like oatmeal for breakfast. Oatmeal? What's oatmeal? My brother and I turned to each other. But we DID know oatmeal cookies. More specifically we knew the Little Debbie type of oatmeal cookie with the yummy white cream in the middle. My brother and I decided that obviously if the brown things on the outside were the "cookie", the white creamy icing on the inside must be the "oatmeal". Oatmeal. Cookie. Made sense to us. And what kid doesn't like pure sugar for breakfast? Yes! Some of that white creamy icing sounds like the breakfast of champions! We had obviously hit the jackpot. We assured the unsuspecting parents we definitely liked oatmeal, only to refuse to eat the hot unsweetened bowl of mush which was served to us, the same gluey stuff had turned our own mother against oatmeal for life. I tell you this because if your own child or a child you have known has clamored for a food that was later refused, there may have been a similar misunderstanding. 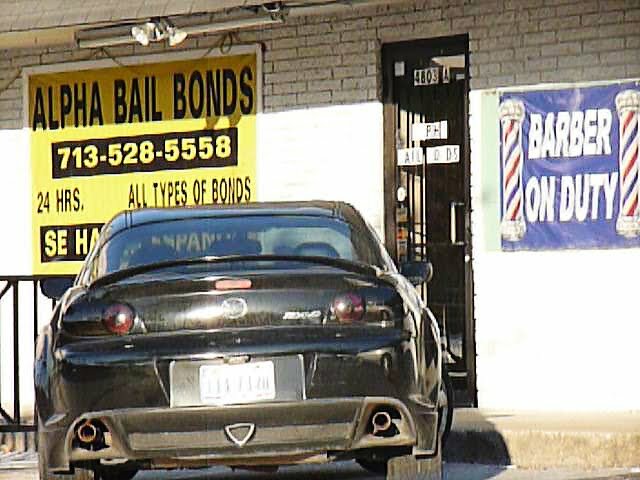 The only other information I really have to share this week is that bail bonds go with everything. Apparently. He's not that scary in real life. Except for sometimes. Hope everyone is having a good week! Man, your parents are even MOER awesome than I previously suspected. I only knew of the goodness of Little Debbies once I had pocket money to buy the forbidden fruit from school mates. i think I paid a record of $.75 for a hit from the Lil Debbie crack pipe. Oh CID!!!! I totally should have clarified! I did NOT learn of Lil Debbie from my parents!!!! I found out through other kids' lunches!!!!! Oops. I guess I can add that. I like oatmeal. Here in the Caribbean they call it porridge. When I was a kid, I never knew what porridge was. My wife has a jar of liquefied marshmallows. I am now going to make myself a sandwich that looks like your picture using Oatmeal Cookies and liquefied marshmallows. I like oatmeal, but despite making non-bake oatmeal cookies/snacks and baked oatmeal cookies, plus eating oatmeal myself, my kids will have nothing to do with the oatmeal in-a-bowl version. And they too went over to the dark side of Little Debbie cookies courtesy of another kid at school. Darn those corrupting lunches. I was introduced to oatmeal as an adult. Maybe that's why I love it! I make it with steel cut oats, honey, cinnamon, raisins . . . It is so good! I want a bowl right now! I remember reading Goldilocks and the Three Bears as a kid and wondering what porridge was . . . It was so exciting when I found out! Those look yummy. I even like oatmeal. 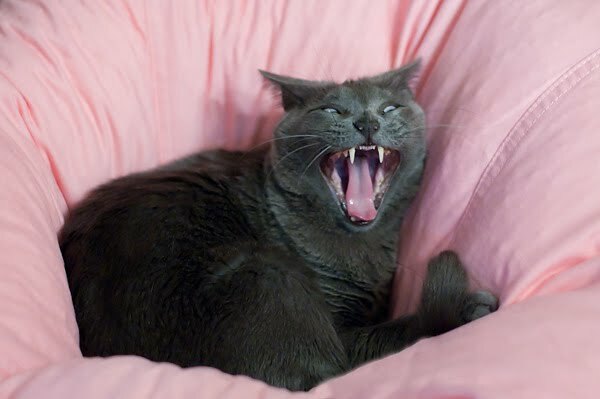 what a crazy cool picture of your cat. Too funny!! I love oatmeal - but even better in cookie form!! :) Love the bail bonds shots!! LOL! I am happy to report that the fine folks at Little Debbie realize that you might want to find one of their delicious products for your breakfast enjoyment and provide a "product locator" on their website. To make your life easy here is the link. Happy shopping and if you do purchase the "breakfast cookie", you better share it with me! Ah yes, the tyranny of the 'healthy lunch'. A friend recently reminded me that one of our 'treats' at school was something called a 'Bush Biscuit' with butter. Suffice to say this was NOTHING like a Little Debbie's oatmeal cookie. Us Aussie's do have a national treat called an ANZAC biscuit which is made with oats and golden syrup (treacle...but nicer) and they are awesome! Mark - You mean fluff! My high school used to serve grilled fluffernutters - peanut butter and marshmallow fluff sandwiches grilled like a grilled cheese sandwich. Nicki - Yeah. Although I've noticed that the lunches kids bring to school have at least gotten a little healthier in the 10 years I've been teaching. Tracy & Maria - With lots of sugar is the only way! Or lots of stuff - that way too! Thanks Gypsy Girl & Reds! Julie - Aw man! From my zip code, you either have to drive to Lake Jackson or CLUTE!!! Oooo I love that taco truck logo! Didn't Little Debbie make those oatmeal cream cookie thingys? I ate nearly an entire box of those in high school after wrestling season ended, and I didn't have to watch my weight any more. De-li-cious. Kerry, that's the way I remember it. But only because I don't remember the animal being big enough to be a cow. The main thing I remember is the milk not tasting as expected at all! Thanks Dr. Zibbs! Thanks Dr. Zibbs! Slyde - Well yeah! I mean who COULDN'T use that?!? And also, for some reason, blogger isn't letting me comment on your blog. But happy birthday to your guy anyway, and I will try again to say so on your blog! Muskrat - Those are them! Man, that taco guy sure looks fulfilled! I have been privileged with an excellent memory and can remember more or less how I thought about things as a child. Many actions deemed disrespectful by adults are, as you pointed out, simple misunderstandings. This knowledge has come in handy when dealing with my eight-year-old sister. Don't he though Blogger Father? Brightened Boy - They always have a reason! It may LOOK crazy to us, but it's perfectly logical to them. Some of the hard grainy oatmeals are just plain nasty. Our Bail Bonds office actually has a kitchen and there is one bail bonds agent that eats Oatmail at all times of the day. With that being said, he is the oldest of our bail agents. I don't think the younger crowd has really taken to oatmeal. 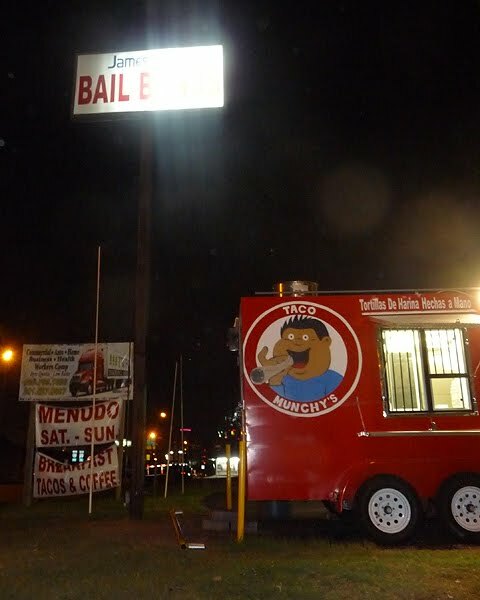 That's a funny sign with the Bail Bonds and Tacos. We've never seen any bail bonds companies out here in California that are bipolar, I mean, offer other services like that. Although, since all bail agents need to be notaries, they do offer notary services for the few that stop by. Welp... now I want oatmeal cookies. I haven't eaten in like 12 hours and that picture of those cookies is KILLING ME. So it has been seen that Alpha bail bonds are working for the people to get out. They have better services than the other organization to get people out from the prison and they do it within limited resources. I really appreciate their working process.